Finding the right company to help market your video can be tough. Not every company necessarily has your needs in mind when starting up. That is why it is very important to find a company with a wide array of video production services to help you with your marketing strategy. Skillman Video Group in Boston is one of those companies. The key to any thing is preparation. The more information you have on a subject the better choices you can make. That is what we try to do at Skillman Video Group. Before starting any project, we meet with our clients. At these meetings, we figure out what your needs are and base our strategy off of those needs. By learning about what you want and what you are about, we can choose from the Boston video production services we provide that fits you the best. If you are a new Boston video company and are trying to gain a foothold in the market, our brand development team is here to assist you. We will do in depth market analysis to ensure that your strengths are at the forefront of the strategy. We also research what it is your competitors are doing and pick out any weaknesses of theirs we can exploit for your benefit. Need a logo? We will help you design a logo that helps reflect your brand and what it stands for. Just know with the help of SVG, you will have a corner to the market all your own. As a leading provider of Boston video production services, SVG spends a lot of time behind the camera. It is the variety of the video production services we offer that help us stand out among the rest. From corporate training videos to live event production, SVG is the Boston video company you should look towards. 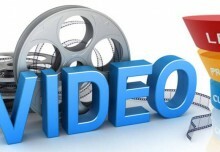 As part of your corporate video campaign, we will come up with best way to get your message out. Whether it is a client testimonial or just a simple branding video, our staff will ensure you the highest quality video. Do you need help marketing your video online? Then let Skillman Video Group film your next videomercial. Even though these videos are shorter in nature, the amount of effort and preparation we put into it is the same. We will be able to tell your story in just a few short minutes that you will then be able to showcase to prospective clients. These are just a few of the many video production services we provide at Skillman Video Group. So be sure to think of us when you are planning your next marketing strategy. Have You Heard Of TubeBuddy! ?